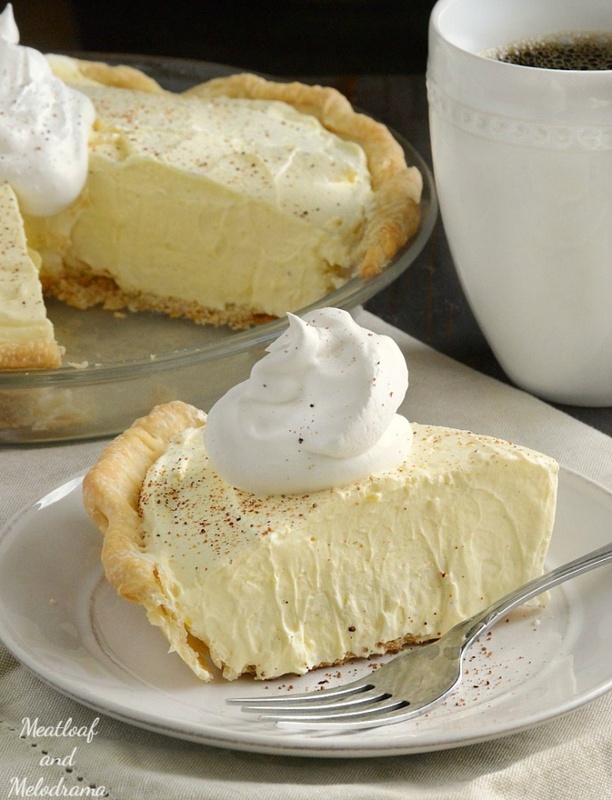 Eggnog Pie By Dee from Meatloaf and Melodrama. An easy no bake pie that's perfect for Thanksgiving or Christmas dessert. The pie is light and fluffy, so it’s the perfect ending to a heavy meal, and no one can say they don’t have room for dessert! It also goes great with a cup of coffee or eggnog — double yum!